We’re at an unprecedented time in technology evolution, where things like battery capacity, processor performance, display quality, cloud computing, wireless communication and sensor precision are all coming together to enable whole new classes of smart, connected devices. The Plex team is constantly looking for ways to help customers improve productivity, efficiency and worker experience on the manufacturing shop floor. What is truly amazing is that as consumer product companies are turning these powerful, yet inexpensive technologies into cool new gadgets – from drones to virtual reality goggles – the Plex team basically gets a toolbox full of innovation to apply to manufacturing. By all accounts, Google Glass was a bomb in the consumer market. The cool factor was initially high, until someone wore Glass out to dinner and everyone stopped talking. But on the shop floor, where things are all about work, Google Glass turns into a very powerful, location aware information system. Coupled with an industrial ring scanner, Glass means materials handlers don’t have to carry a big heavy scan gun or holster around. 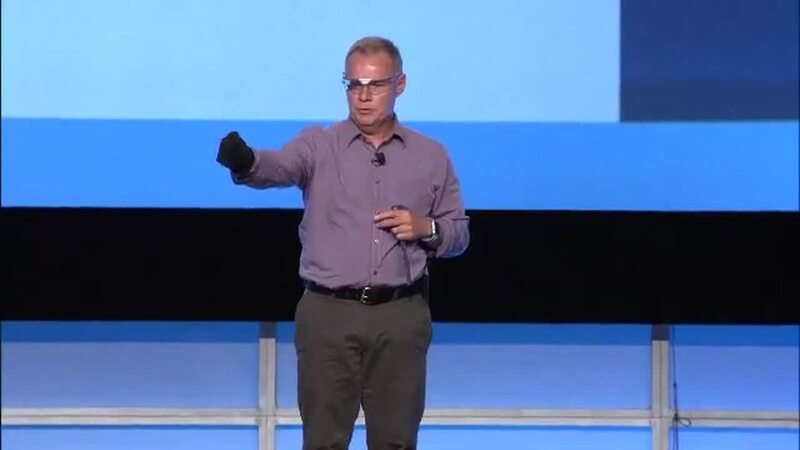 Last month at PowerPlex, our annual customer event, I had the privilege of sharing a glimpse of what’s next for wearables and manufacturing operations management on the shop floor. In short: we’re working on some really exciting and practical uses for consumer technologies on the shop floor. These products are practical now, and I expect they’ll continue to push the industrial equipment manufacturers into new innovations as well. Fisher & Co., a seating systems and mechanisms manufacturer based in Michigan, is one of the first companies to deploy Google Glass in production operations. Materials handlers at Fisher use Glass, paired with a wearable ring scanner to record materials hands-free. The devices connect to the Plex Manufacturing Cloud, which means the operator has real time information updates in their Glass display, and every scan logs materials appropriately in the system. Shop floor supervisors at Fisher also use Glass. Tied to a Bluetooth-enabled Beacon, Glass has very accurate location awareness inside the factory. That means the supervisor doesn’t need to navigate menus or click buttons: Glass knows where they are and displays relevant machine and materials information based on that location. Not only does the materials handler shave time off the scanning process, they also never worry about a dropped or misplaced scan gun. The two technologies together actually cost less than a wireless scanner and don’t run the risk of being run over by forklifts, a surprisingly common occurrence. Here are some of the Fisher experiences we shared at PowerPlex 2015. It’s been a rewarding year to see the Google Glass pilot project get underway. I can’t wait to expand beyond it to smart watches (yes, including a new Plex App for the Apple Watch), touch-free controls and smarter tools. It’s an exciting moment as emerging consumer technologies mature. Plex, together with our customers, have an opportunity to leverage tremendous investments in products like Google Glass and smart watches and think about how they can make shop floor operations better, more productive and even safer. Jerry Foster is CTO and leads our technology strategy, along with research and design initiatives focused on next-generation cloud solutions for the manufacturing enterprise. A founding member of the Plex team, Jerry has been instrumental in the entire evolution of Plex, overseeing the technical transitions in each phase of our growth. Jerry earned his degree in Computer Science at Liberty University.